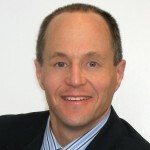 Dr. Ken is one of Wisconsin's favorite physicians. Dr. Dembny is one of Milwaukee’s top cosmetic surgeons. 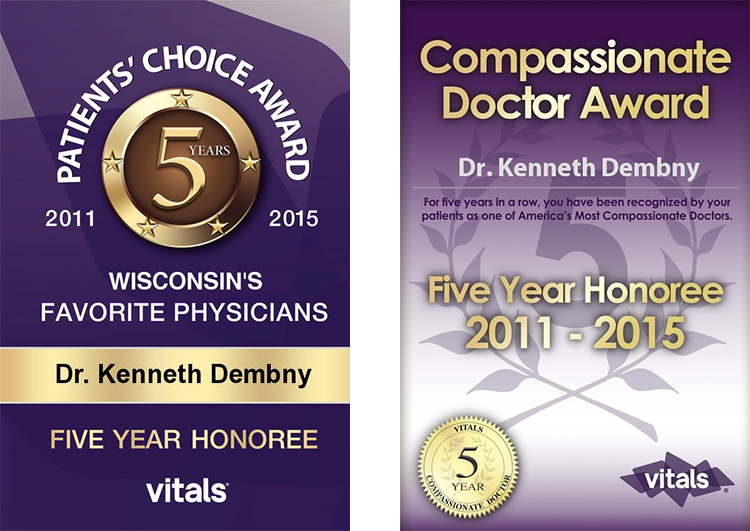 For the last five years, Dr. Dembny has been listed as one of Wisconsin’s favorite physicians. What’s more, he’s collected honors from industry groups, as well as publications and internet ranking services. But popularity contests aren’t what it’s all about. Your health, safety, and your satisfaction are most important. That’s why Dr. Dembny takes the time to get to know you (and your body) — to help you make the right decision that suits your life best. From all over Southeastern Wisconsin and beyond, Dr. Dembny and his staff have won these awards because of the quality care they provide. 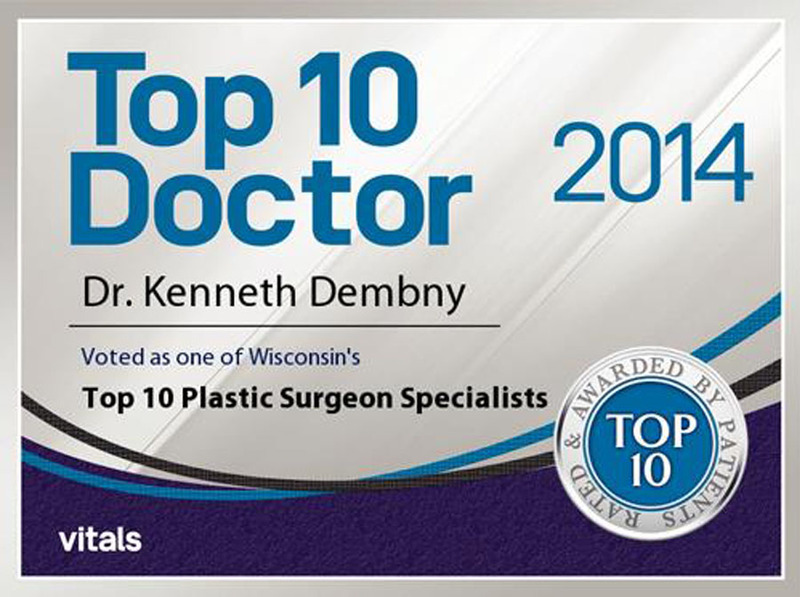 For nine years in a row, Dr. Dembny has been recognized as one of Milwaukee’s very best cosmetic and plastic surgeons – by those people that mean the most – his patients. 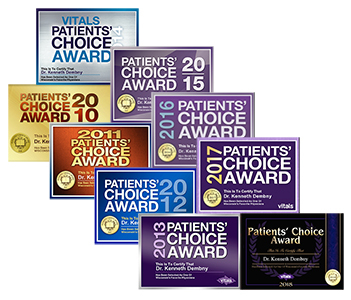 The Patients’ Choice recognition reflects the difference a physician has made in the lives of his or her patients. The honor is bestowed to physicians who have received near perfect rating scores as voted by the patients. The Most Compassionate Doctor award is based upon the good ratings and praises Dr. Dembny has received from his patients regarding the kindness and compassion of the care he delivered. Congratulations, Dr Dembny. Once again, Dr. Ken is setting the standard in cosmetic surgery. Each year, hundreds of thousands of new doctor reviews and ratings are featured on Vitals.com. Patients write about their experience and rate their doctor on several components of care, including bedside manner, doctor-patient face time, and degree of follow-up. Patients also provide their doctor with an overall rating. 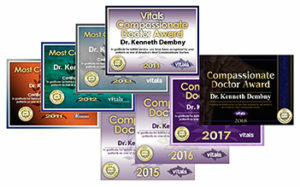 Vitals analyzes these ratings annually, along with other quality measures, to identify yearly winners of doctor awards. 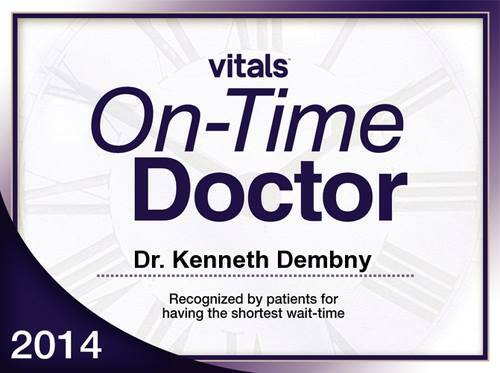 While most doctors receive positive feedback from their patients, only a few meet the criteria for a Vitals Award or Recognition… and Dr. Dembny has been winning each and every year. Give Dr. Ken a Review. For the past six years, The Talk of the Town has helped business owners gain control of their image and reputation by providing consumers a fair and unbiased overview of their business. The Talk of the Town Award is issued to those businesses that receive 4-star to 5-star ratings as calculated by their CM Power Ratings™ service. Both business owners and consumers search our award pages to see who has received top honors with only the highest rated businesses winning this highly touted award Customer Satisfaction Award.